With its collaboration with Microsoft and including Windows OS in its mobile phones, Nokia tried to make a dent in the shares of its rivals. With its newest member, the Nokia Lumia 610, the Lumia series is now available for every budget but will the new model attract new customers is a matter of question. Let us have a look at the specs first. Pros: The biggest USP of this phone for fans of the Windows OS is the low price of the phone. You cannot get a Windows phone currently for such a low price tag. Another great feature about this phone is the camera that comes with it at this cost. The camera is simply outstanding and the images you take will be cherished by all. 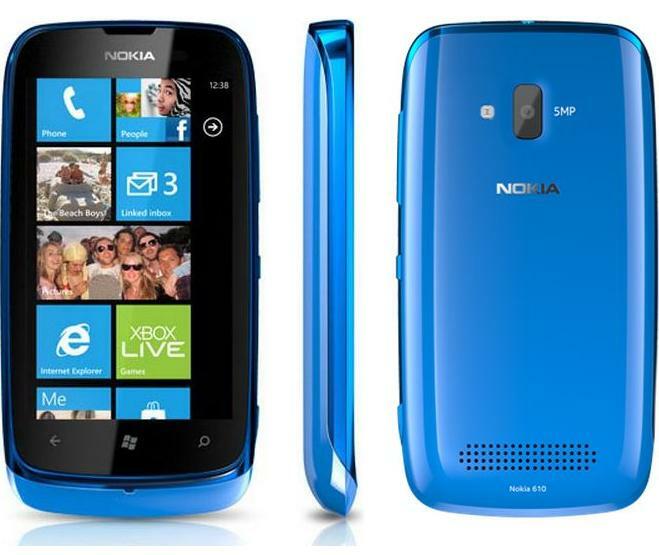 Windows OS is known for its ultra responsive user interface and the Nokia Lumia 610 boasts of the same. The Nokia Drive feature with turn by turn directions is also something that you will definitely admire about this phone. And last but not the least, the customer support of Nokia across the globe is one of the most reliable and preferred ones so you will never face any difficulties if ever your smart phone goes bad. Cons: When everything seems right there is bound to be something that will annoy you. In this case, the Nokia Lumia 610 is not what you can call a power house. This is because this phone houses only crumbs of RAM that clocks at a mere 256 MB. This RAM is enough to enable you perform the basic phone functions and enjoy a smooth interface yet it falls short of many popular apps due to lack of speed. You won,t be able to even install many of them due to low RAM. Another disappointment is the screen that is not as good as its elder brothers so it will definitely disappoint you. No SD card slot means no expandable memory and you are limited to just 8GB of storage. Finally, if you are looking for a windows phone only and are under a budget then this is the right phone for you, otherwise the low specs and poor video capacity of this phone will leave you craving for more.